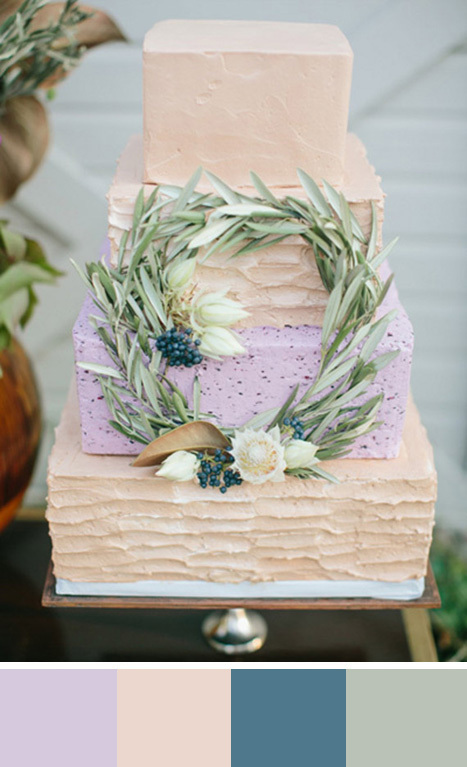 Lavender is lovely and feminine without being overly sweet and girly, and pairs so well with other colors, it’s hard not to want to incorporate it into your wedding day. If you need more convincing, these 5 foggy lavender color palettes are so darn pretty, we guarantee they’ll set your heart aflutter. You might be tempted to pair lavender with other light pastel shades, but we love how beautifully the pale lavender and dark blue contrast and play off each other in this color scheme. Who says lavender is only for spring? 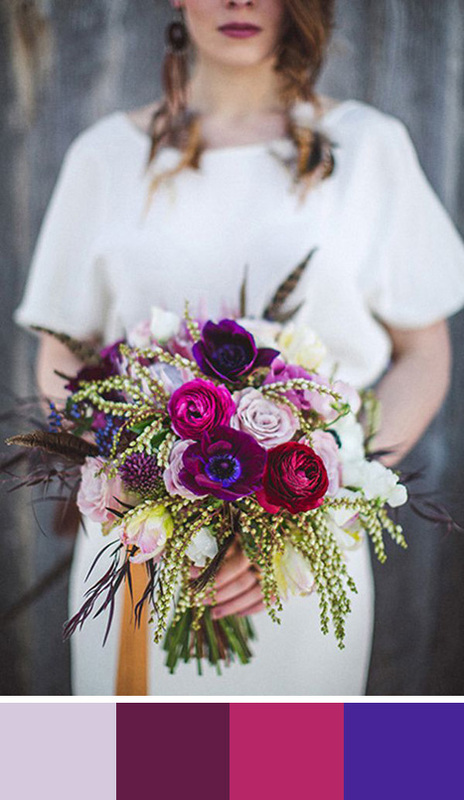 Four very different shades of purple make this color palette an interesting and unique choice for a fall or winter wedding. 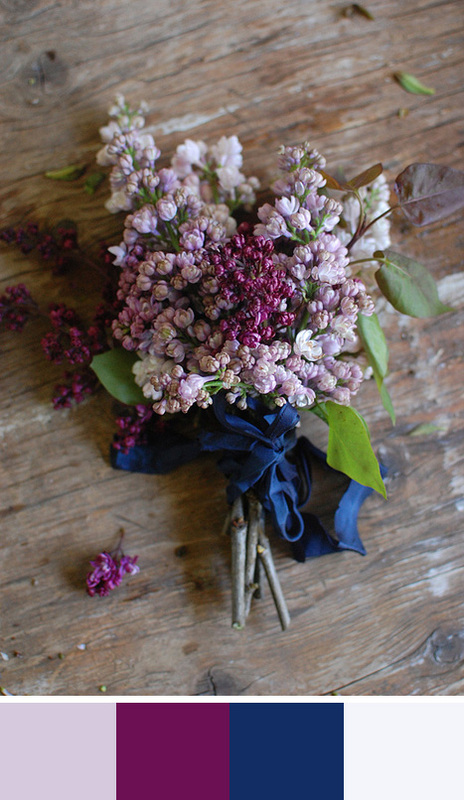 Of course, if you are having a spring wedding, lavender is an easy and excellent color choice. We love pairing it with mint green and grey for a classic and sophisticated look. This soft pastel palette is another classic color scheme for spring. 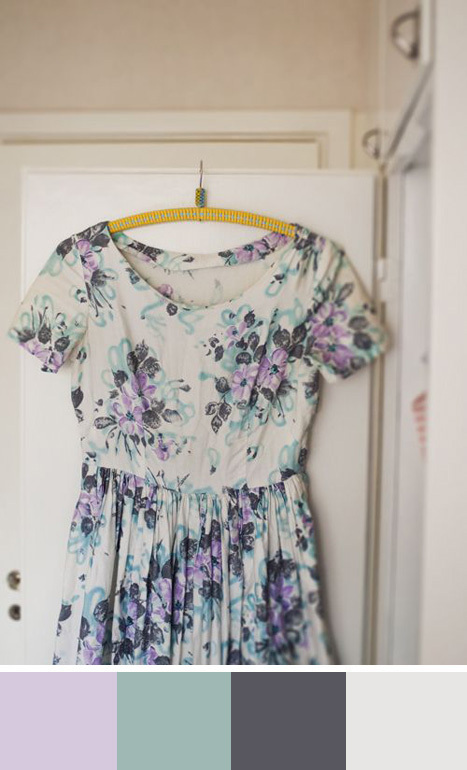 If you’re looking for something sweet and feminine, this one’s for you. 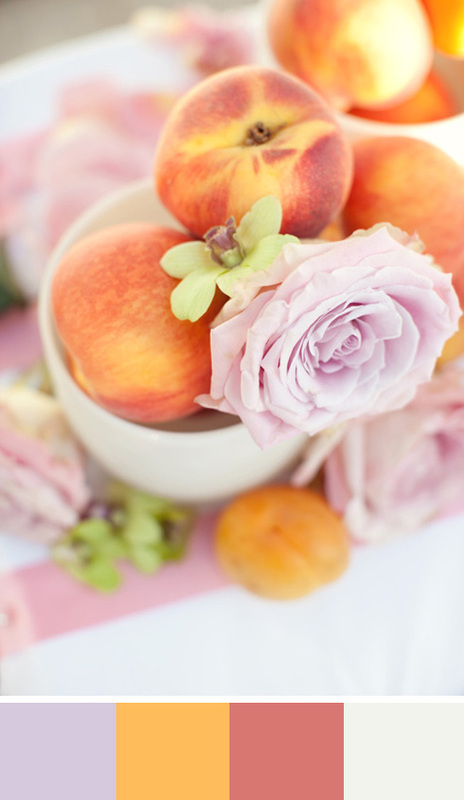 For a spring or summer color scheme with a little more punch, add pops of pinky peach and golden yellow to give your palette a warm edge and balance out the cool lavender tones.